15 Minutes Fames with the Corcoran 1869 Society. The Washington Ballet dances model evening attire.. Follow the Boomer, Three top restate experts chat about bubbles, ‘burbs and boomers. 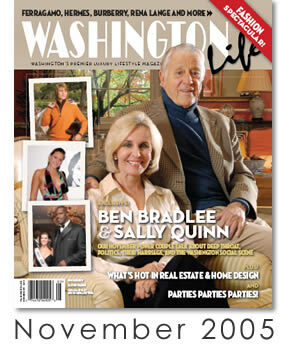 Find out what’s brewing at Washington Life magazine.